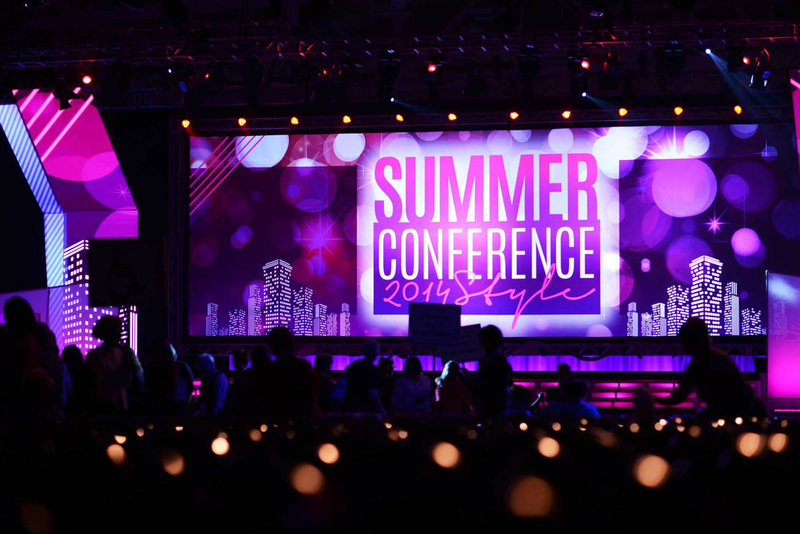 This speaker support graphics package was created for the Pampered Chef annual summer conference. The event is broken down into 4 general sessions, and although each session has a different look, they were designed to feel like they came from the same family. 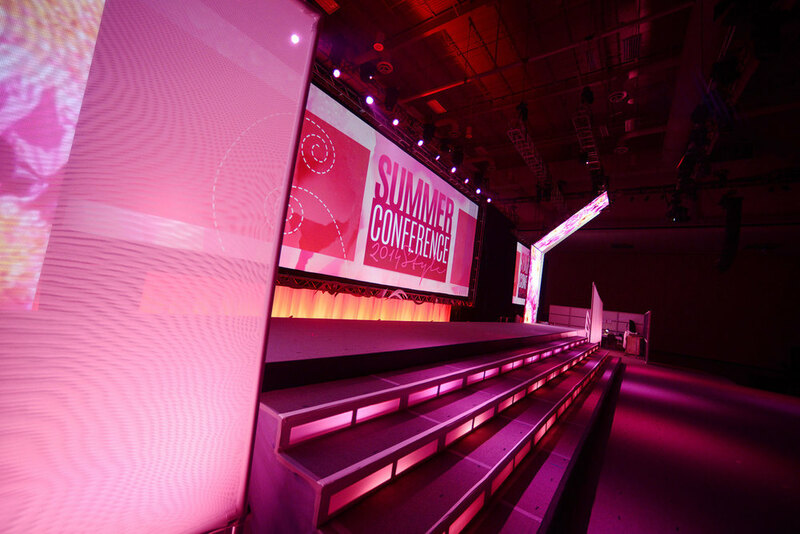 This created a cohesive collection of on-screen graphics that carried the theme throughout the entire event. Each session used elements associated with the conference theme logo brand (provided by the client). Custom design templates for different content scenarios were created, such as: content slides, photo and product slides, content with photos, title slides, speaker intro slides, award recognition slides, etc.